The DVD entrapment fits into the clear vinyl sleeve on the outside of the DVD box. 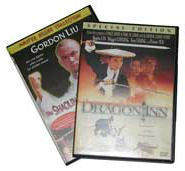 Flat Size: 10 3/4 x 7 1/4"
Often booklets, registration cards, or additional literature is inserted into the DVD box. 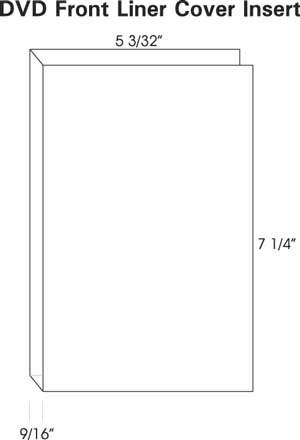 This finished size of these items must be 4 3/4 x 7 1/8" or smaller. Below is a sketch of the typical DVD Box booklet. Please call (916-789-9929) or email (sales@bizreplication.com) if you have any questions.